I can’t emphasize this point enough. You wouldn’t hire a part-time dentist would you? An experienced performer not only gets the big things right, it’s also the little things that can be the difference. Starting a night with nice classy dinner music can allow your guests to be able to bond with others at their dinner table. Then, an experienced performer can slowly lift the tempo in keeping with the mood of the room. Whether it’s background music whilst the band is on a break, or the right mood lighting, or even the sound quality of your speeches at your function, an experienced entertainer will be able to read a crowd and know what the audience is wanting at certain stages of a night. All of these points are extremely important to each and every night, because experience will always be beneficial to your event. A professional will always act professionally! They will be on time, well dressed, and will have prepared well for the event. Professionals also will only generally hire professional people, meaning that other band members will not only be fantastic musicians, that they will be courteous and respectful at all times. A true professional will also ensure that from the moment of your call or email right through to the end of your event, every facet of your event will be given the care and attention that you require. I have found over the course of my career as an entertainer in Cairns and Port Douglas, just how important it is for your entertainer to have a good rapport with their audience. Whether it be performing general M.C duties, helping with awards, announcements or speeches, allowing the audience song requests, or even getting them involved with the band during a song, having a great performer who can garner the respect and trust of an audience is essential to a wonderful atmosphere for your event. Some of these points may come down to your own instinct, but may assist you in your decision making. Is their phone manner professional and courteous? Does the band or performer have a professional website? Are your emails being responded to in a prompt and informative manner? Can you view videos of performances including crowd reactions? Do they have current references or testimonials and are they favourable? Are they willing to be flexible and adaptable to your needs? 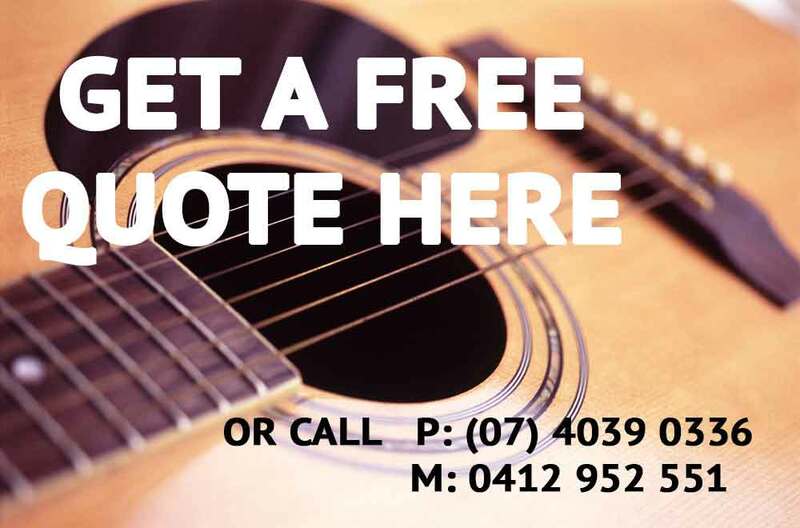 Hopefully the above tips may help you to choose the best entertainment, whether it be a solo singer guitarist or other musician, live band or D.J. I can assure you that here at Tony George Entertainment, all of the above is exactly what we do for you. We care about your function, party, event or wedding and want it to be a huge success for you.So, as you can see from this blog, hiring the right entertainer for your function, event or party is integral to the night being a smashing success. Here at Tony George Entertainment, we provide not only the passion and drive to make sure your event is a success….we also know how important it is to your business, delegates, colleagues or friends and families!! If you need further advice, help or need a quote, please email me at tgent@ledanet.com.au or call me on 0412 952551. Please also visit my facebook page at Tony George Entertainment for our latest news, shows and where we will be performing. All the very best to you all! Next → Next post: Are you scared of public speaking? ?